The T29MF001, “MAGNUM” is a 25mm magnesium dome tweeter with a patented Neodymium based magnet system. It is the tweeter of choice for those who seek extremely precise and realistic sound reproduction combined with a relatively low crossover frequency. A unique HEXADYM patented magnet system based on 6 radially magnetized NdFeB magnet blocks. 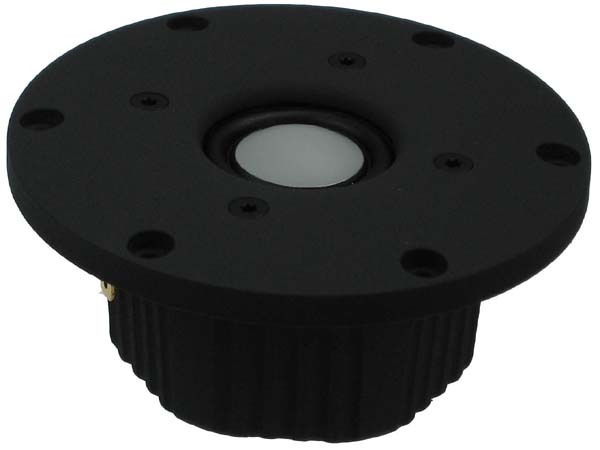 Efficient ventilation and damping of every potentially resonant cavity behind the dome, surround and voice coil. Moderate magnetic stray fields present no problems in AV installations. 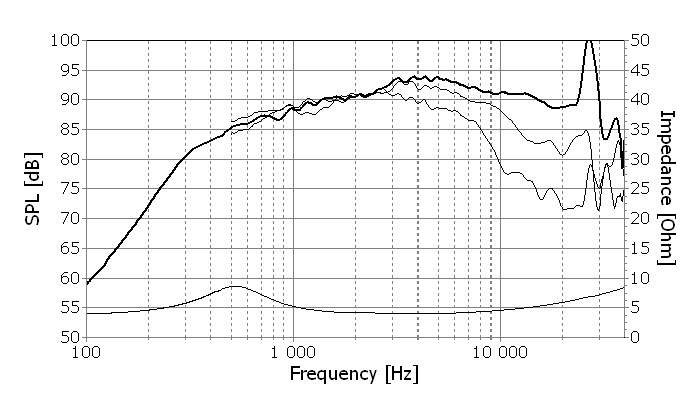 A generously underhung voice coil ( + and - 0.5mm ) ensures low distortion even with low crossover frequencies. An optimally shaped magnesium dome membrane which behaves like a piston throughout the audible frequency range and shows a controlled break up above it. A homogenous, linear surround manufactured by SEAS from SONOMAX, a soft polymer material of high climatic stability. Flexible lead-out wires which ensure a good connection between voice coil and terminals. This arrangement also helps to prevent lead breakage due to the large excursions encountered when low crossover frequencies are used. 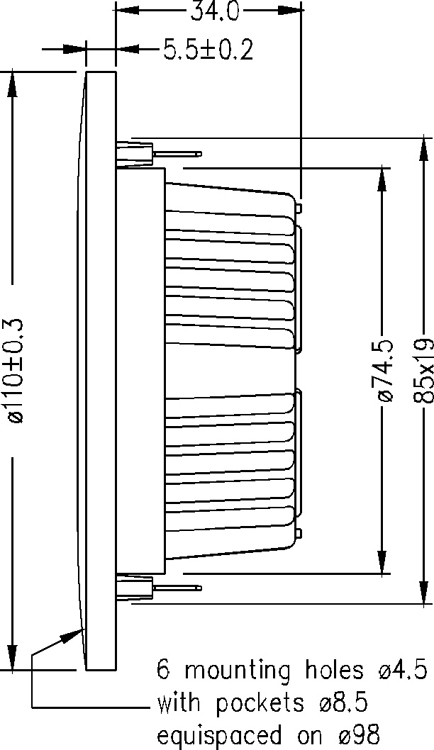 6,0 mm machined aluminium front plate with a moderate horn loading characteristic which ensures linear frequency response, and a stiff and stable connection to the cabinet. A substantial injection-moulded rear chamber made from zink eliminates unwanted chamber wall resonances and conducts heat away from the magnet system.